Founded by the Robotics Education and Competition Foundation in the United States in 2003, VEX Robotics Competition has attracted millions of young people from more than 50 countries around the world. The competition is dedicated to developing student interest in science, technology, engineering and mathematics as well as teamwork, leadership and problem-solving skills. This year, the Asia Open VEX attracted more than 400 teams from primary schools, middle schools and universities in Asia. Shanghai Jiao Tong University, Xi’an Jiaotong University, Harbin Institute of Technology, Hong Kong CMA Academy and other universities from China participated in the event. 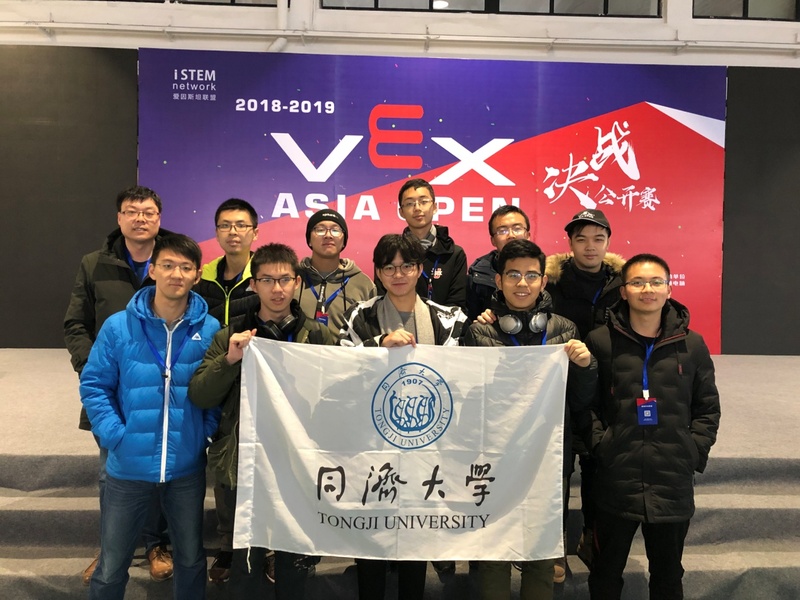 During the competition, the dean of the College of Electronics and Information Engineering attended the third annual meeting of the VEX National College Robot Education Alliance. Representatives of participating universities had in-depth communication in robot education, VEX development in China, teaching reform, innovation and entrepreneurship, reached broad consensus and formed an action plan for 2019.In addition, Tongji University was appointed vice chairman member of the National College Robot Education Alliance.